Nova Eyewear, the international eyewear brand from Vision Rx Lab, which is globally endorsed by the stunning Bollywood diva, Jacqueline Fernandez, has refreshed its frames collection with sleek designs and vibrant hues to elevate the style codes of the wearers of prescription and protective eyewear. The new range exhibit sheer sophistication and style, ensuring that people with eye power do not need to compromise with aesthetics when it comes to vision correction and eye protection. Nova Eyewear caters to all genders, ages and lifestyles, acknowledging the spirit of the ever so dynamic and eclectic trend and fashion conscious contemporary crowd. A riot of bright colours such as red, pink, lilac, purple, indigo in varied vibrant patterns and combinations in fashionable frame shapes define the collection. 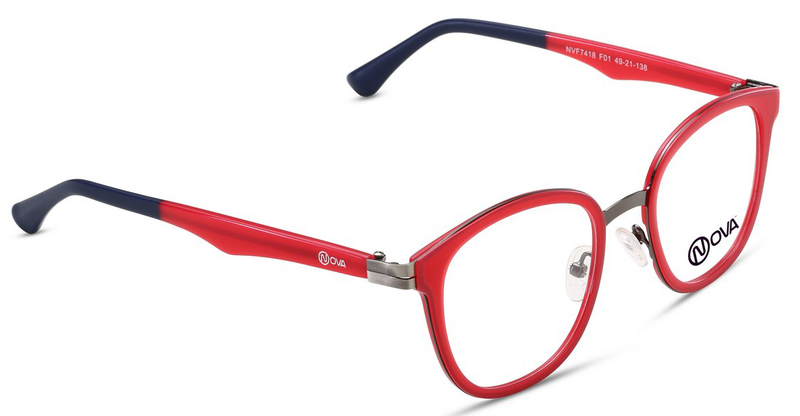 Also the main highlight of the collection is the choice of double bridged frames which are available for both main and women, which is a rage these days. And also not to forget the stunning modified cat-eye shiny red frame, Wynne NVF 7418 F01, worn by Jacqueline Fernandez at the grand launch held in Mumbai, which is sure to be a hit with the ladies. Whereas fun and peppy colours add zing to the teens and kids collection. Thus the new finely crafted frame collection from Nova Eyewear will compliment the prescription lenses or sun lenses, thus making eyewear not only functional but also trendy.